I just returned from a weekend “back home” in Philadelphia celebrating different things with different family members, so it’s apropos that today I’m posting my sort-of review of THE MOON SISTERS by Therese Walsh, her newly released novel about family, leaving home, and going home again. My weekend has left me tired, in a good way, and also feeling a little woozy—a little like I’m processing things in a different way today, maybe like Olivia Moon does in THE MOON SISTERS. 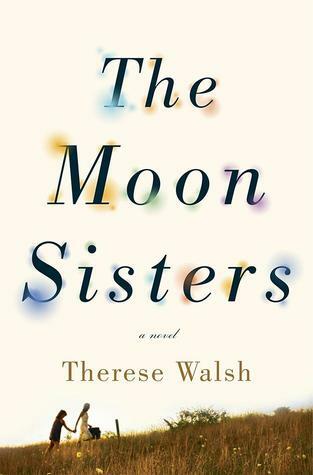 In The Moon Sisters, Therese Walsh paints a vivid picture of an emotional and physical journey for two sisters, Olivia and Jazz, who couldn’t be more different but realize in the end that the things that bind them together—their father, the death of their mother, their home, and eventually the desire to move forward—are more important than anything else. The rich details in this book bring to life a part of the country, West Virginia, that I’ve never visited, but believe I would now recognize. The Moon Sisters has evocative yet playful prose, as well as depth, yet it is not bogged down at any point. I couldn’t stop turning the pages. Olivia and Jazz Moon have remained in my thoughts weeks after I finished the book. Actually, I think I may read it again. All of that is true, and exactly how I feel about the book. One of my favorite things about the book is that playful prose I mention. Therese Walsh is a prose crafter, for sure. The book is accessible, but it’s not simple. I don’t mean it’s hard to read, I mean the writing is truly lovely. And I adore many books where the writing is great, but not necessarily lovely. Does that make any sense? I don’t read books that are difficult to read, and although I struggle when someone says my book is an “easy read” I do know that writing an “easy read” is not easy. When relaying THE MOON SISTERS to others, it means that there is a flow, it kind of takes me along for the journey of Jazz and Olivia and there is no struggle in reading, not at all. I was still writing my second novel while I was reading and what the author (okay, okay, yes, she’s my friend, I can say that—but I don’t gush unless it’s all true for me about a book) is that by reading THE MOON SISTERS I was encouraged to do two things with my own book: 1) really explore the setting in more detail to make it real for the reader, and 2) experiment with a non-linear addition to my novel (and I do mean experiment, as I am quite the linear gal). I really internalized the way Teri wrote the book and realized that it swept me away to somewhere new and different, in a way I really enjoyed. You’ll have to read THE MOON SISTERS to really get it, but I will tell you that much to my surprise and subsequent relief, I knew that the fact that I see “a calendar in my head” is actually A THING. It’s a form of synesthesia! So that fact that a calendar exists outside myself (OMG, yes, I am blogging this so everyone who only *thinks* I’m strange will now be utterly sure of it) is not only something that happens to me. It happens with days of the week, months, and years, as if projecting them in front of me. It has been this way as long as I can remember. It has a certain look to it — always the same. Weird, yes. Unique? Not so much. Seems the more people Teri asked about synesthesia, the more people who seemed to have some parts of it. It’s involuntary, so it’s not like making up an acronym to remember your to-do list. If you don’t experience synesthesia at all, Therese Walsh brings it to life—in living color, so to speak—in THE MOON SISTERS. If you do have it, it’s really fabulous to read it. What else is brought to life in the novel? A sense of adventure, a sisterly bond, grief, and hope for the future. I loved the ending — and when you read the book I’d love to know what you think of the ending. Or if you’ve already read it (no spoilers though) let me know in the comments. THE MOON SISTERS is getting great reviews (even more than just this one of course) and you can find them here: ThereseWalsh.com. Needless to say (but I’ll do it anyway) I loved THE MOON SISTERS as a reader and a writer. As a friend, I’m so pleased for and proud of my friend. THERESE WALSH is the author of The Last Will of Moira Leahy and the cofounder of Writer Unboxed. She lives in upstate New York with her husband and two children. 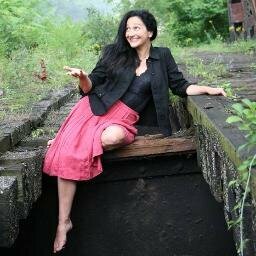 Follow Therese on Twitter and Facebook. I’ll Ditto that. And encourage you and everyone to go for the second read. You’ll love it more and more and more, as a writer, reader and an evolving person. I did. Since I write historical fantasy, I liken it to world-building and character development. T sweeps us away with the loveliness of her phrasing and inventive use of metaphor. Her flair for dialog brings her characters to life so brilliantly. So I tell myself that, although I may never write anything this beautiful, I still have a chance at sweeping readers away with an intricately built world populated with relatable and memorable characters. Great analysis, Amy. I’ve said it publically many times, but it bears repeating: Therese Walsh is an inspiration! Sounds like just what I’d like: the story of women’s relationships, importance of setting, writing style. Finding out about synesthesia will be a bonus. Thanks. My copy just came yesterday, and I’ll get reading time with spring break next week. Can you say E-X-C-I-T-E-D? Amy, you totally sold me on reading The Moon Sisters. I never had a sister of my own, but I love exploring the complexities of sisterly relationships. Can’t wait to read this book! I can’t wait to read Therese’s new novel, for the very reasons you mention: her word-crafting abilities. I loved The Last Will and Testament of Moira Leahy and found the language drinkable and alive. Add the synesthesia to the mix, and I think I’ll be all set! Thank you, Amy, for this beautiful review. Your support and friendship has meant the world for so many reasons. Write on, Sticker Sister! I read an ARC of The Moon Sisters, too, and because of that I became curious about synesthesia and began to do some research. Turns out that there is an explainable reason (other than extreme empathy) that my oldest daughter feels physical pain when she sees others hurt. It is to such an extreme that she hardly dares to watch movies or TV with her peers, for fear of breaking down and crying in front of them. I had always thought it odd that she can read The Hunger Games, but can’t watch the movie, and can’t stand to hear the book read out loud. Hearing people describe pain or gore is as bad for her as seeing it. We have not had her diagnosed as having mirror-touch synesthesia yet, but I will be asking about it at her next well-visit. I’m a fan of synesthesia–has anyone read Diane Ackerman’s A Natural History of the Senses?–and cannot wait to read The Moon Sisters. I’d already mentally put Therese’s second book high on my to-be-read list, but hearing Amy’s praise makes me even more anxious. I’m always on the lookout for books that prime the writing well. Sounds just up my street — I look forward to reading it.